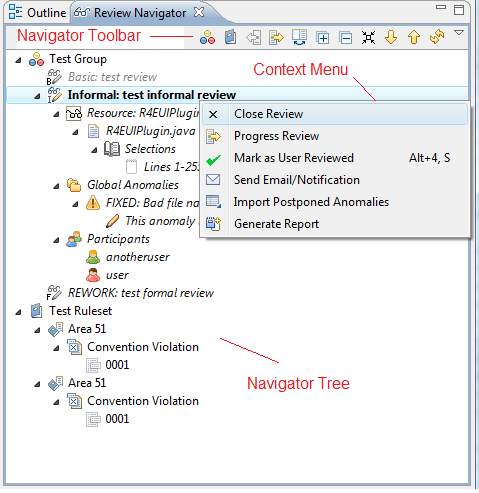 R4E is a tool, fully integrated within Eclipse, which is used to perform context-sensitive reviews. It is optimized to work on Java (JDT) and C/C++ (CDT) code, but can also be used on pure textual input. Efficient peer reviews of source code: R4E provides advanced functionality to support your organization with Java, C /C++ and Text peer reviews. Automatic generation of review items: Wizard helps users find review items (e.g. finds lines of code that were changed or that are part of Version Control System Change Sets). Faster understanding of the artifact: Reviewers have access to creation context features (e.g. 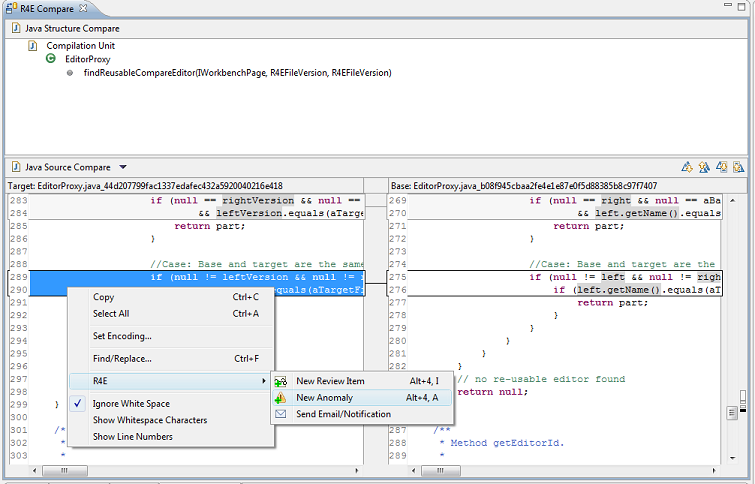 all powerful Eclipse IDE code navigation/search features). Nothing to print: Reviews are performed using the electronic version of the artifact. Always review the right things: R4E supports Git Version Control System and keeps track of file versions associated to review items and anomalies. Scheduling review based on resource availability: Automated meeting request creation and email notifications, access to LDAP databases for users. Supports Git Version Control System and SVN (via Mylyn Versions and Subclipse). Support for simultaneous reviews by multiple users. Use of current user perspective with extra R4E views. Review Items browsing using Eclipse compare viewers. 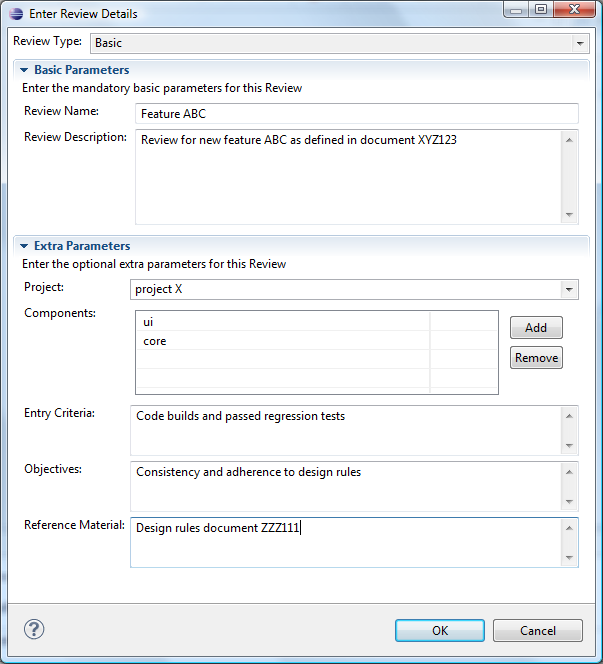 Review items specify portions of code that need to be reviewed. They could be generated manually or automatically as Git change sets. Integration with LDAP databases (e.g. employee database). Integration of utilities to keep track of reviewed items and time spent in reviews. Integration with SMTP and VCalendar for email notification and communication between users. Anomalies specify portions of code that are incorrect or need to be improved/removed. Support for custom design rules enabling automatic entry of anomaly attributes. 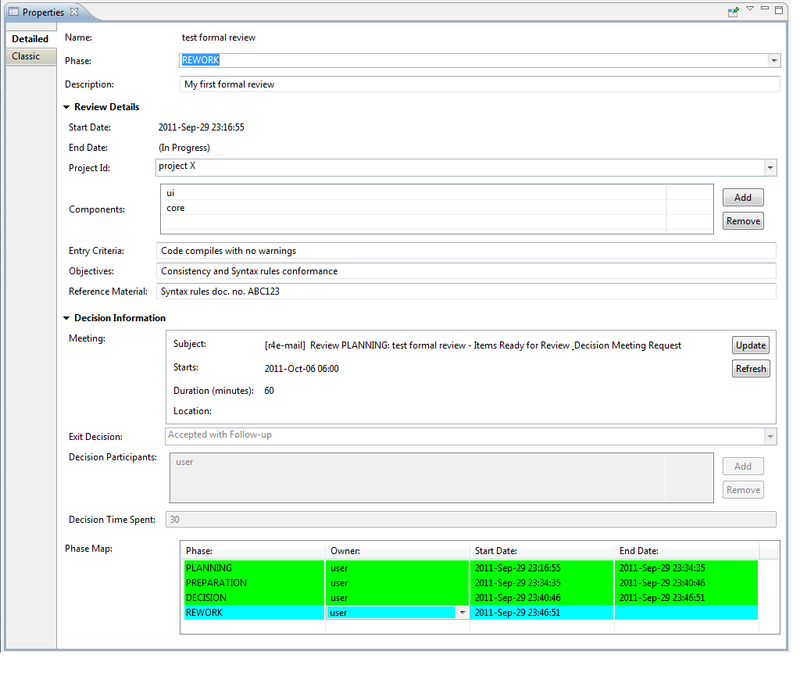 R4E uses Mylyn Versions connectors to integrate with version control system clients e.g. EGit, Svn (via subclipse). The latest Mylyn versions build can be downloaded from update site Versions Hudson build.